How nice it is to sleep in this reassuringly green cradle. Babies will love being gently cradled to sleep in this slumber meadow. Then when they wake up they can set off and explore the tactile elements that surround them: the sheep has rustling ears and a squeaker is hiding in its belly. 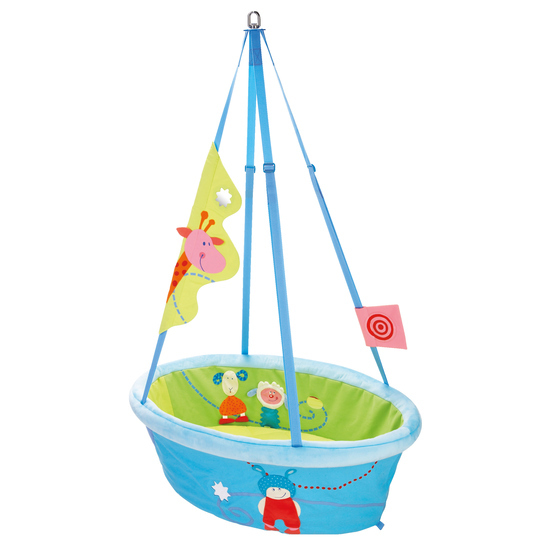 Babies can also investigate the sewn-in mirror foil or observe the two waving flags fixed to the adjustable webbings.